My wife asked me if what the name of my blog meant. I said that if you make 3 lefts, you end up going the same way as if you had made one right and I drew it in the air with my index finger. She cocked her head and gave me a, “I know that” look and then said, but what does it mean? I said that there are times when the long way around is required; even desired; at times the only way around. Job. Kids. Life. They all require constant attention to the road ahead; to the journey rather than the destination. In this time of job transition, I’ve been forced to pay attention to where I am; what I’m doing right now and make the best choice forward. At times, that’s e-mailing friends. Other times, it’s taking a nap to keep from getting over-tired. 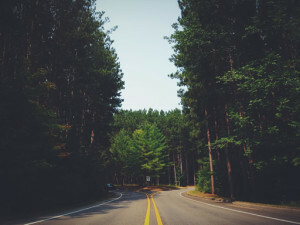 No matter what I’m doing though, I have a feeling like no other time in my life of adventure…like I can’t wait to see what’s around the next bend while at the same time enjoying the scenery out the passenger side window. Don’t fear making a wrong turn – embrace it as you have no idea where it will lead. I know it’s been a while since my last post – to be quite honest, it’s been a very dry summer for me personally. I don’t quite know what contributed to that, but suffice it to say, it left me with very little to write about. The below post is something that I’ve been able to think about with others at my day job. It is something that organizations all over the world are trying to solve. Some are better (Google, Apple, etc.) than others, but they all want to improve. Maybe you can see how you can make a difference culturally where you are after reading this. I love the term used by Star Trek captains to signal a jump to warp speed. ENGAGE! No matter how many times I see it (reruns of TNG are on KARZ at 10:00 CST locally), it makes me smile each and every time. I think it must be the fact that they are about to travel faster than light and as a Physicist, that’s pretty darn cool – theoretically impossible, but cool nonetheless. This term is also used to describe how motivated employees are to perform at their very best day after day. Engagement levels are now something that organizations around the world actively measure and care about. It’s because they now realize that engagement is directly tied to the organization’s ability to achieve it’s performance goals. In my job as part of HR, this is something we spend a lot of time thinking about and it turns out it isn’t as easy to improve as one might think. Almost across the board, the economic conditions of the past two years have been responsible for engagement levels dropping off. As people see their peers lose their jobs and are themselves forced to take pay cuts, motivation to give 100% wanes quickly. The obvious contributor is money – employers are trying to cut costs because there isn’t as much revenue and employees are then forced to make corresponding lifestyle changes that don’t feel good. But I don’t think engagement levels can be solely tied to money. There has been a ton of research around why people stay at a job year after year and it turns out it has very little to do with their salary. It’s the other things that contribute to something called job satisfaction. Some are tangible and easy to grasp (great benefits or perks) and some not so much (personality mesh with a leader), but regardless of what it is, to ignore them will certainly invite disaster. The cumulative summation of all of those non-financial contributors to job satisfaction can be summed up in one word – culture. It is the “feel” of a place that permeates each and every action, which can change over time to be more positive and productive to more negative and toxic. I don’t have time to go into all of the things that make up and go into an organization’s culture, but engagement levels is one metric that can help you understand whether you have a positive or a negative one and, if you track this over time, which direction you are headed. Conversation | It is my contention that employees want to be part of a dialog and not the recipient of a list of orders. To give them a voice that speaks into not just how something is done, but why it is done can communicate worth, pride, trust and perhaps love. Having an open and safe place to voice your opinion and relate your story is key to building trust, which is one of the cornerstones of a great culture. Contribution | There’s nothing worse that giving effort to a task that is meaningless. Human nature desires to accomplish something with our labor and in business, it better be tied to the bottom line. Making sure everyone knows how their job relates to success is absolutely critical in building a winning culture. Compensation | As the old adage says, “An honest days labor deserves and honest days wage.” Today, we talk about the equity principle – making sure that we internally feel it is worth our effort for what we get in return. What we get in return includes salary, recognition, equipment, bonuses and other things that meet core needs we all have. A thriving culture will have programs and processes in place that allow for all of these to be awarded as well as leadership committed to making sure they get used. Ratio | I drew this diagram in equal parts because I believe there is a balance between these ideas that must be maintained for a healthy culture to exist. For example, too much emphasis on conversation will lead to a place where everyone thinks it needs to be their way and yet, there is only one way it can be. 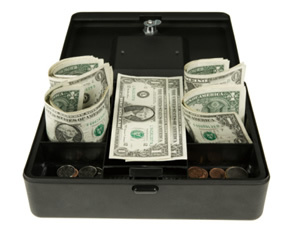 An over emphasis on contribution might mean that the housekeeping items could get less attention as the focus shifts to more bottom-line activities. Think the Cobbler’s shoes. And I don’t think I’ve ever seen an 0ver-emphasis on compensation, but it might look like bankruptcy if it ever got there. At any rate, this was just one way for me to put into a visual some of the big ideas that go into creating a positive culture that promotes higher engagement. It’s not perfect and there are other components. This issue’s complexity is directly proportional to the number of employees. Then add in an international component and you have yourself a whopper of a problem to solve. I was speaking with some friends last night and the subject of church came up and I had an opportunity to share about a paradigm shift I’ve made over the past few years that has revolutionized some real key aspects of being a Christian. The first thing is that I believe God has given ME a ministry – to my wife, my kids, my neighborhood, my workplace, my church, etc. He desires me to live out my faith both with Him and the world around me daily – with passion, integrity and complete abandon. Secondly, He’s given me a proper perspective on the role of my local church in that ministry. In the past, I felt like I was part of the ministry of my church – one small part of a much larger effort. This meant that I felt obligated to make sure I was operating within organizational parameters. From the curriculum I was taking my small group through, to the volunteer role I was playing on Sunday morning, to the various service activities I put my hand to – all of it was the ministry of the church and I was there to help fulfill it as I could. That’s not how things are today. Remember, God has given me a ministry and is holding me responsible for it. It is personalized to me and takes into account who I am: my strengths, weaknesses, personality, experiences and the specific skills and talents He chose to endow me with. As such, the local church has become a resource to my ministry. Let me say that again – the local church is a resource to MY ministry; not the other way around. This has produced a confidence of responsibility that frees me up to listen to the Author of my faith and the Designer of my ministry and move according to His plan. All of a sudden you have a new grid to filter opportunities through and it puts the power and accountability squarely on your shoulders, which can be a bit daunting if you think you are doing this on your own strength. That’s another post altogether though. The local church’s proper role is to equip and unleash God’s people to pursue Him and His purposes in their lives. Sometimes this is easier for them to say than do, but I think we can help if we will adjust our thinking just a smidge to take responsibility for what God has given us and make that our focus. 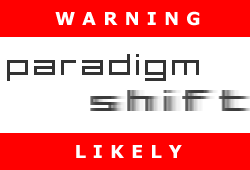 As with other paradigm shifts I’ve talked about, there needs to be a cautionary note to prevent misinterpretation. I’m not saying that we should ignore and abstain from getting involved with what the local church is doing. Often, these events are great ways to grow relationships, meet new people and be a blessing to the world around us. The shift is in motivation. No longer do you have to do these things as an obligation to the church, but rather as a strategic choice in serving your God – and there could be no more lovely fragrance to Him than a right heart that’s passionate to serve Him and be a part of His plan for His people. So, the question comes down to motivation. Are you abdicating the responsibility for your faith to the church or are you taking personal responsibility for your ministry and seeking His guidance about what’s next? You don’t need permission from anyone to do what God is calling you to – you only need faith expressed in courageous obedience.